Northwest National Real Estate: NEW LISTING! 20 Acres Bordering National Forest Building Site Already Leveled Amazing Views!! NEW LISTING! 20 Acres Bordering National Forest Building Site Already Leveled Amazing Views!! This property has amazing mountain views, borders National Forest, a building site that has already been leveled and a seasonal creek! The views are absolutely amazing, from the property you overlook the Deer Lodge Valley along with the Flint Creek Mountain Range and the Anaconda Pintlar Mountains and Wilderness Area. You’ve got mountain and valley views and can see Montana’s Big Sky Country for miles and miles. Imagine looking out the picture window of your cabin every morning at these mountain views. You’ll be able to watch some of Montana’s best sunrises and sunsets too right from your porch overlooking the Deer Lodge Valley. 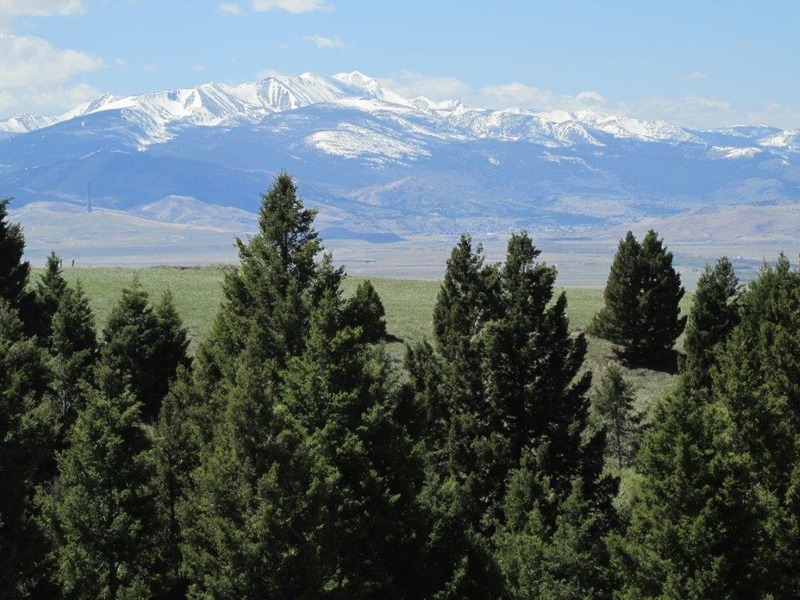 This property borders the Beaverhead - Deer Lodge National Forest you can hunt, hike, and recreate right off your property on thousands of acres of National Forest. As far as hunting goes, there are so many elk here, there’s a six-month cow elk season on private lands. Plus, there’s the general bull elk tag and general and unlimited deer tags. You can hunt on your property or head to the National Forest just beyond the property and go for miles and miles. Plus, there’s a small seasonal creek running through the property. The creek flows through a wet bottom area with aspen and Douglas-fir trees and lush green grass that all provide the water, food, and shelter the wildlife crave. A spot has already been leveled to camp or build right next to the creek. The property sits in the foothills where its private and secluded, yet you’re only about 6 miles from a county road and 8 ½ miles to Interstate 90 where you can easily head to Butte, Anaconda, or Deer Lodge for food, supplies, and gas. The property is about 2 ½ miles from power and has cell reception so you can stay in touch while taking it easy back in the hills of Montana. It’s an awesome setting, you can’t go wrong with this property. Call Scott Joyner at 406-223-6039 for more information. $69,000.